Under the technical supervision of the Ministry of Economic Infrastructure and the financial supervision of the Ministry of Economy and Finance, Ageroute carries out missions of assistance to the contracting authority or to the delegated project management. It also deals with development projects as well as road research, and initiates studies on the environmental impact resulting in environmental safeguards in relation to the work carried out. 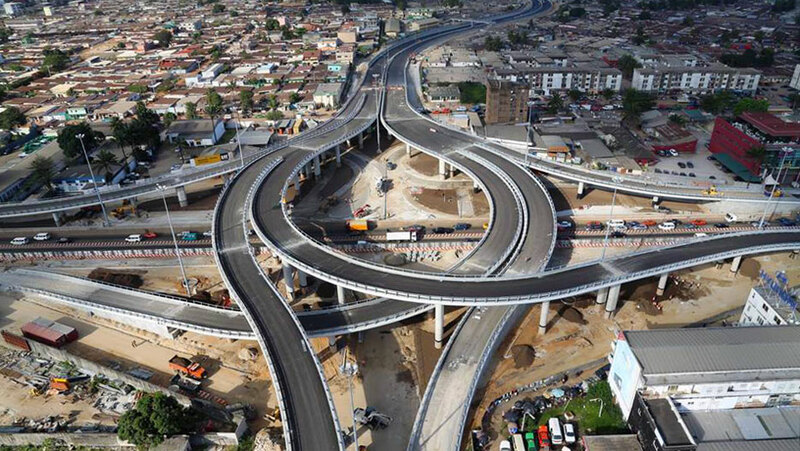 What is your assessment of the road sector in Ivory Coast? What has been achieved lately? We have experienced a major boom in the road sector in Ivory Coast since 2011. The majority of the funding agencies are back. The African Development Bank, which has its world headquarters in Abidjan, was out of the country for more than ten years. They had relocated to Tunisia, but now they are back home. The World Bank has always been here, the European Union is here, and sub regional agencies such as the West African Development Bank are here. There is a boom in terms of financing, but also in terms of contractors and engineering firms. We now have contractors from around the world, including Europeans, North Africans, and Latin Americans. You have achieved several projects, including the construction of the Third Bridge of Abidjan, the expressway, the bridge from Youpougon to Adjame, the Ivory Coast-Japan Friendship Interchange, and many other projects. As the general agent for the government for the maintenance and development of the road network, our goal is to meet the challenges of the government to give access to every single place where people live in Ivory Coast. We have completed many major projects since 2011. The biggest one is the Third Bridge of Abidjan, which is now in service. It is the biggest project we have had since we started in 2002. We have also completed the Jacqueville Bridge, the Bridge of Bouaflé, and the freeway from Singrobo to Yamoussoukro. Now, you can drive from Abidjan to Yamoussoukro within two hours. We have completed the Eastern Road going from Abidjan to Abengourou on the border with Burkina Faso. Many projects have been accomplished, and we still have several projects underway. A major project we are working on right now was initially called the Fifth Bridge, but it is now the Fourth Bridge. The Fourth Bridge was originally from Abidjan to Boulay Island, but that project was suspended. The Fourth Bridge will now run between Youpougon and Adjame. This is a big project funded by the African Development Bank. It is a half a billion US dollar project which includes the bridge itself and the access roads to the bridge. Under the same umbrella, we also have three other projects: the Western Freeway from Abidjan to Dabou, spanning 20 kilometers, the Eastern Gate from Abidjan towards Adzopé, also 20 kilometers, and an approximately 20 kilometer ring road. We will also build the Ivory Coast-Japan Friendship Interchange, which has already started. We are planning to build three other interchanges on the Mitterrand Boulevard. We have some big urban programs scheduled in the cities and secondary cities. We have done a lot of work in Abidjan and people want us to bring big projects to the secondary cities as well. 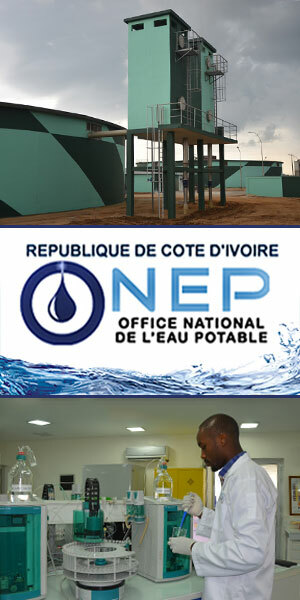 There are projects today all over Ivory Coast and Abidjan. The challenge for Ageroute is here and now, because we are in a very booming period. We did not have the chance for a smooth transition between the period before 2011 and the period after 2011. We are now working on about 20 projects spread all over the country. The challenge is how to hire qualified people to do the job. We need new talent and new people to manage those projects. The Third Bridge of Abidjan. Is it a major issue to not only focus on Abidjan, but to also allow the other regions to boom economically? It is a major issue and it is a priority for the government that everybody in the country and all the regions should feel the economic boom. That is why, by the end of this year, we will endeavor to connect all the cities, provincial capitals, and regional capital cities and provide accessibility by paved road. The government wants to give permanent access to all cities and villages with at least 500 inhabitants. This is a major challenge for us because that means we have to build a number of bridges of small, medium, and large sizes. We have a program called "The Thousand Bridge Program" aiming to achieve this. You recently collaborated with the Korea Expressway Corporation and they sent engineers to Ivory Coast. What are you looking for in terms of partnership with other foreign companies? The Korea Expressway Corporation assisted Ageroute and the government in the design of a road and transportation master plan which they had executed successfully in Seoul, South Korea. In 2015 and 2016, we worked on a master plan for Abidjan because we need to have better control over its expansion. We now have a master plan that takes on all the issues of urban development, transportation, and social economic equipment. Do you want to develop this kind of partnership with foreign agencies and companies in other capacities? We are looking for partnerships and other methods to improve the quality of our work because it has been an issue. The government is willing to help improve the quality of the work we do. This means that we need to train our people in all fields. The road is not an isolated investment, it is built in an environment. We must make an effort to improve the design of our roads and adapt them to our way of life. For example, on the freeway we have now from Abidjan to Yamoussoukro, conventionally, people are not supposed to sell goods on the roadside, but that is the way of life in Africa. As a result, we need to think of designs that will take that fact into account and enable us to design roads that are more useful, not only for travelers but for people living around the road. "The road network is the way to development", says Bouaké Fofana. How do you achieve this? Are there special places where people can sell goods or park? The Road Maintenance Fund is attempting to find designs and site investments close to the road so that this will be possible. We have rest areas in some countries and Ivory Coast might need to implement these roadside markets. We also want to learn from the experiences of other countries. Many of us travel to other countries and we can see what is working well there. We need to learn from that and apply some of those good experiences here in Ivory Coast. You also have experiences abroad. You have worked in Senegal, Madagascar, Chad, Malawi, South Africa, etc. Are you looking to continue developing this expertise? The main reason why we set up Ageroute Conseils was to raise revenues from our activities and not have to wait for everything from the government, which is our main customer today. When you work exclusively with the government, it is challenging in terms of cash management. We have some expertise that we have developed here over the years and we know that around us there are a few countries who want to follow the same path and who want to learn from us. We approached them and offered our own experience that we can share with them. You do not need to reinvent the wheel. In Mali, they wanted to create a road agency resembling Ageroute, called Ageroute Mali, and we offered to help. The same was true in Senegal. We have learned from big projects like the Third Bridge, and people came to us working on similar projects and asked for our help. We can send them our people as advisors and experts and give them remote advice about how we solved those similar problems in Ivory Coast. What challenges are you facing at the moment? The biggest challenge for us is to build the capacity to meet the government’s and most importantly the peoples’ expectations. The population is very demanding, which is understandable. In the past, this country has done very good work in terms of building and maintaining infrastructures, and providing a good service to people in the road sector. For 10 to 15 years, those services have not been at the same level. The challenge for us is to meet those requirements and expectations. The government wants to build good infrastructure. If we had had a transition, we would have had time to prepare the people, to hire new people, and to train them, but there was none. Almost overnight, we had to move from a portfolio of four or five projects at best to a portfolio of twenty projects running at the same time. The goal of the government is to double the network of paved roads by 2025. You are also campaigning to make sure people do not damage these new projects. It is a question of culture. We are campaigning and being helped by the media in TV, radio, and newspapers. We try our best to explain to the general population that the road is public equipment that belongs to everyone. The people own part of this road and it is built with their taxes. If we deteriorate the road before its lifetime, the money the government will use to repair that road will be taken from health, education, and so on. But it is a long-term exercise. You cannot change people’s way of life overnight. If the road is built for twenty years, but it must be rebuilt in five years, that is a waste of money, taxes, and resources. What do you want to have achieved for the country and Ageroute in the medium term of two years’ time? As the general agent for the government for the maintenance and development of the road network, our goal is to meet the challenges of the government to give access to every single place where people live in Ivory Coast. The economy of this country was built on agriculture. When farmers work, and are rewarded for the work they do, they are happy. Even the general population understands the importance of a good road network and good service on the road network to accomplish this. For them, it translates to everyday life. If you ask a farmer in the most remote village in Ivory Coast, he knows that when the road is good and his village is accessible even during the rainy season, that means more income for him because he can sell his produce at the right price. This gives him a better life. When the road is so bad that no truck can come to him and buy his product, then the courageous one who does come to him is the one who sets the price. If the government says the price is $2 per kilo, but no one comes to buy your product, then you will lose. That is the best way to explain to people why the road network is the way to development. Do you have a message to send to the international community, investors, banks, or investment banking institutions? There is a universal appeal. Everyone can see and feel that Ivory Coast is back. The economy is booming. We have grown by 8.5 or 9 percent for the past five to six years, so that opens up many opportunities in all sectors, including the roads sector. Today, the challenge for the government is how we can meet the expectations of the people in the shortest period of time. That is why we have such an aggressive and ambitious road program for the 2016 to 2020 period. 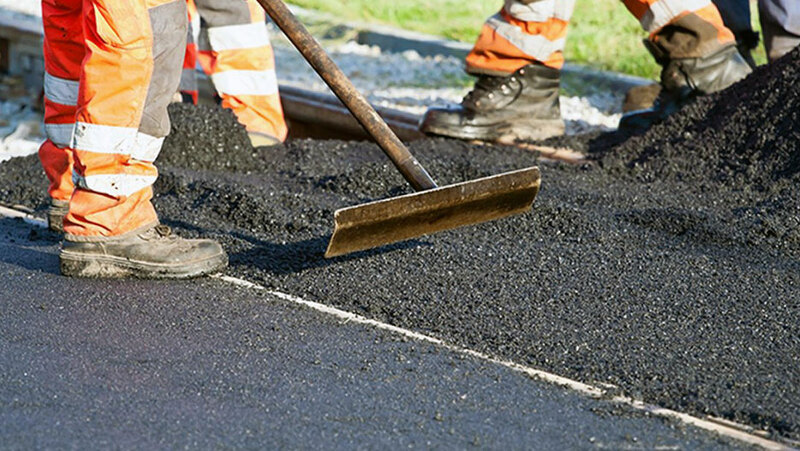 The goal of the government is to double the network of paved roads by 2025. Today, we have about 6,800 kilometers and we want to reach 12,000 kilometers of paved road. That is a major challenge, if one looks at the number of bridges we must build. This is the place to go today. If I am a contractor, Ivory Coast should be among the places where I want to go to take advantage of these opportunities. The country has a long history of free economy and has given a very large role to the private sector in development strategy and the growth of the country. We have a national commission in charge of public and private partnership businesses and we are very keen on developing these partnerships in the road sector. We are the gateway to West Africa. We are the second economy of ECOWAS next to Nigeria. Every business wants to establish a base in both Francophone and Anglophone West Africa. Ivory Coast should be the place to start.